When you sell your house for a profit, you might use the money to immediately buy a new home; you might also decide to just hold onto it. The tax that you pay when making a profit from selling a house will depend on what your marital status is, how you used the home, how long you owned the home and how much profit you made. 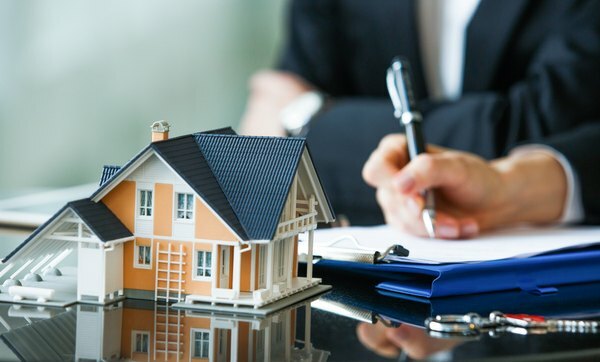 If you sell the house and use the profits to buy another house immediately, without the money ever landing in your possession, the event is generally not taxable. Profit from the sale of real estate is considered a capital gain. However, if you used the house as your primary residence and meet certain other requirements, you can exempt up to $250,000 of the gain from tax ($500,000 if you're married), regardless of whether you reinvest it. You will also avoid taxation if you sell and reinvest immediately in a like-kind exchange. Capital gains tax is the tax you pay on a capital gain (unsurprisingly). So what does that mean? A capital gain is the profit you make from selling a capital asset. Capital assets are things like cars, stocks, real estate and other assets that have a useful life of longer than a year and aren't meant for sale in the ordinary course of business. That's why a house is a capital asset, while something that gets sold all the time, like a gallon of milk, is not. Because a house is a capital asset, any profit from the sale of the house is a capital gain, and it is subject to capital gains tax. So how much is capital gains tax? That depends on whether the gain was long term or short term. It also depends on your tax bracket. When you buy a capital asset, the amount you pay for it is called the basis. When you sell the asset, you subtract the basis from the sale price, and the difference is your gain. So if you buy property for $50,000, your basis is $50,000. If you then sell the property for $75,000, your capital gain is $25,000, which is the difference between the basis and the sale price. Long-term capital gains are the profits (or gains) earned on the sale of an asset you held for more than one year. If you buy a house in 2019 and sell it in 2021, you've held it for more than a year, and the gain is long term. Long-term capital gains are taxed at special rates. The rate that applies to your gain depends upon your tax bracket. 0 to 12 percent, you won't pay a capital gains tax on long-term gains. 22 percent to 35 percent, you'll pay 15 percent on long-term gains. 37 percent (the top tax bracket), you'll pay 20 percent on long-term gains. Short-term capital gains, which are gains on capital assets held for a year or less, are taxed at ordinary income rates. That is, they're taxed at the same rates as the income from your job. So if you buy a house in 2019 and sell it six months later, the gain is short term. A home used as your principal residence gets special capital gains tax treatment upon sale if certain requirements are met. That special treatment means that you can exclude from taxation up to $250,000 in gains ($500,000 if you're married filing jointly). You've owned the home for two of the last five years. You used the home as your principal residence for two of the last five years. You haven't used the exclusion on another property sale within the last two years. Additionally, if you're married filing jointly, both you and your spouse must meet all the requirements for you to get the exclusion. Let's say that Joe bought a house in 2015 for $100,000. He lived in it for three years and then moved out and used it as a rental property in 2018 and part of 2019. He sold it in 2019 for $200,000, resulting in a gain of $100,000. Because Joe used the property as his personal residence for at least two of the last five years, he qualifies for the exclusion. He's single, so he can exclude up to $250,000 in gains, and therefore, he can exclude the entire amount. Now let's say that Bob and Mary bought their house in 1980 for $50,000. The area grew around them and became very desirable. They lived there for nearly forty years before selling the home in 2019 for $600,000, realizing a gain of $550,000. They meet the residency and ownership requirements, and because they're married, they can exclude up to $500,000 of the gain. However, they'll have to pay long-term capital gains tax on the remaining $50,000. If the house you're selling is not your principal residence but is a rental property or other type of investment property, you may be able to defer the taxation on your gain if you sell it in a like-kind exchange. You sell an investment property (your personal residence does not qualify). A third party holds the profits from that initial sale in escrow so they do not go to you. You must identify a new property, in writing, within 45 days after the initial sale. You use the profits from the sale to close on the identified property within 180 days after the initial sale. The property you buy and the property you sell are "like-kind," meaning they are both interests in real estate located within the United States (for example, you could not sell property in Michigan and try to use the proceeds to buy property in England and get a like-kind exchange benefit). If you sell an investment property and use the proceeds to buy a new property, and you meet all the like-kind exchange requirements, then you're deferring the gains. Instead of paying taxes on the gains now, you push the gains into another property and you'll pay the taxes later when you sell the new property. You buy an investment property, Property A, for $200,000 (your basis in Property A). Later, you decide to sell Property A so you can buy Property B, which is listed for $300,000. You sell Property A for $400,000, leaving you net proceeds of $200,000 (the sale price minus your basis). The net proceeds of $200,000 go into escrow held by a third party at closing. You close on the sale of Property B for $300,000 within 180 days after selling Property A. You use the proceeds of Property A ($200,000) to fund part of the purchase price of Property B and pay for the rest using a bank loan. This is an example of a like-kind exchange; Property A was sold and the proceeds, after passing through a third party, were reinvested in Property B within 180 days. You decide to sell Property B, but you don't want to reinvest the money in a new property. You find a buyer who agrees to pay $400,000 for Property B. At closing, the net proceeds on the sale of Property B are $100,000 (the sale price minus what you paid for it). Although you paid $300,000 for Property B, your tax basis in Property B is only $100,000, because the gain from Property A that you used to buy Property B is deducted from Property B's basis. Instead of being taxed on the $100,000 net proceeds of the sale of Property B, you'll be taxed on $300,000, which is the $400,000 sale price minus your adjusted basis of $100,000. Of course, you could always use the proceeds of Property B and invest them in another property, pushing the gains forward again. If the rules for like-kind exchanges are followed, you can defer taxation on those gains forever.